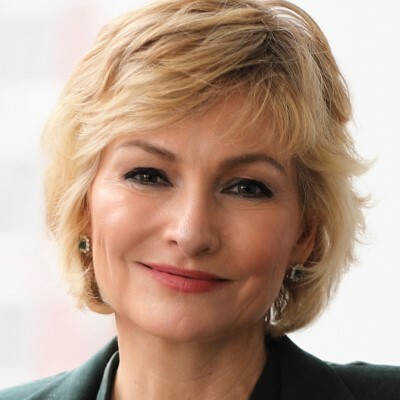 Bridget van Kralingen leads a business unit that conceives, develops, and scales disruptive software cloud platforms for specific industries; opens new markets for the Watson artificial intelligence platform; and has established IBM as the clear leader in the emerging market for blockchain. In parallel, she leads IBM’s top client segment, global enterprises that represent a significant portion of IBM’s annual revenues. She is accountable for IBM’s global industries – strategy, research, solution development and industry talent. Bridget leads the company-wide mission for blockchain, spanning R&D, solutions, platforms and services – a business unit recognized as the leading enterprise blockchain provider. Bridget is also responsible for IBM's global strategic partnerships and alliances with industry leaders such as Apple, SAP, Workday and Salesforce. Bridget brings more than 20 years of business experience to her current role. She joined IBM in April 2004 as global Managing Partner of the Financial Services Sector, following her tenure at Deloitte Consulting, where she was Managing Partner of the Financial Services Sector. Since 2011, Bridget has been listed as one of Fortune Magazine's "50 Most Powerful Women in Business." She is a member of the Board of Directors of the Royal Bank of Canada.